Pretty pink flowers make a perfect gift! 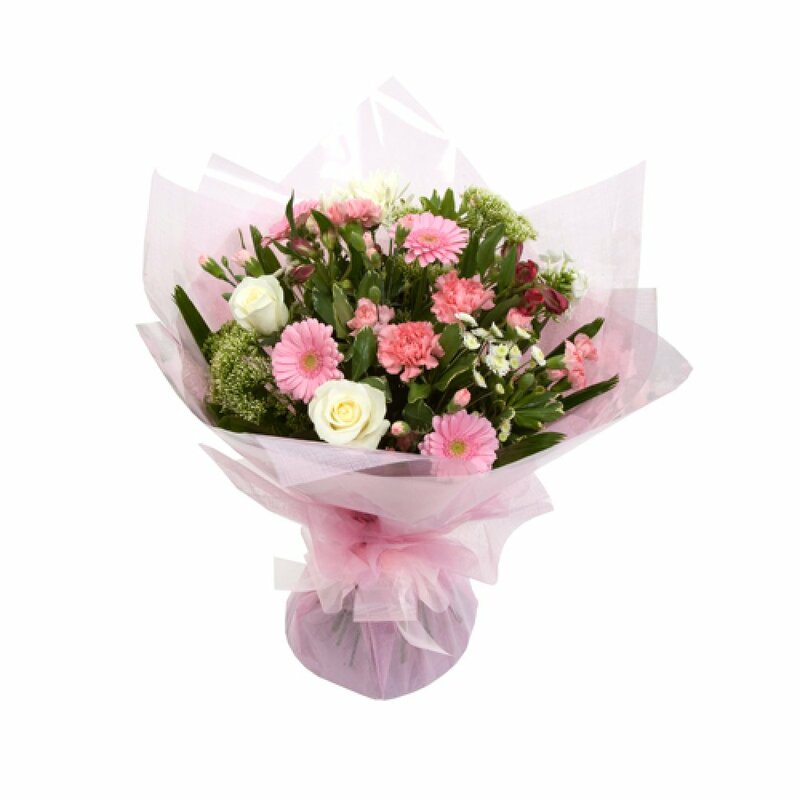 A classic gift in shades of pink, white and green. This bouquet is presented as a hand tied design and is not delivered in water. This gift may include lilies, please state if you require these to be omitted from your design. The image is for colour/design choice only and the exact flowers used will vary to provide you witht he best gift on the day. The flowers for your bouquet will be hand selected by a florist from the Butterflies team on the day and transformed into a truly special gift. The image shown would be a design from the Standard price point.